CSS3 Writing Modes defines CSS features to support for various international writing modes, such as left-to-right (e.g. Latin or Indic), right-to-left (e.g. Hebrew or Arabic), bidirectional (e.g. mixed Latin and Arabic) and vertical (e.g. Asian scripts). Inherently bottom-to-top scripts are not handled in this version. See [UTN22] for an explanation of relevant issues. The inline base direction is the primary direction in which content is ordered on a line and defines on which sides the "start" and "end" of a line are. The ‘direction’ property specifies the inline base direction of an element and, together with the ‘unicode-bidi’ property and the inherent directionality of any text content, determines the ordering of inline-level content within a line. The block flow direction is the direction in which block-level boxes stack and the direction in which line boxes stack within a block container. The ‘writing-mode’ property determines the block flow direction. These terms should not be confused with vertical block flow (which is a downward or upward block flow) and horizontal block flow (which is leftward or rightward block flow). To avoid confusion, the CSS specifications avoid this latter set of terms. The ‘text-orientation’ component of the writing mode determines the line orientation and the typesetting mode, and controls details of text layout such as the glyph orientation. This module replaces and extends the ‘unicode-bidi’ and ‘direction’ features defined in [CSS21] sections 8.6 and 9.10. The Unicode standard (Unicode Standard Annex #9) defines a complex algorithm for determining the proper ordering of bidirectional text. The algorithm consists of an implicit part based on character properties, as well as explicit controls for embeddings and overrides. CSS relies on this algorithm to achieve proper bidirectional rendering. The ‘direction’ and ‘unicode-bidi’ properties allow authors to specify how the elements and attributes of a document language map to this algorithm. User agents that support bidirectional text must apply the Unicode bidirectional algorithm to every sequence of inline boxes uninterrupted by a forced (bidi class B) paragraph break or block boundary. This sequence forms the paragraph unit in the bidirectional algorithm. Except when the ‘plaintext’ value of ‘unicode-bidi’ is in effect, the paragraph embedding level is set according to the value of the ‘direction’ property of the paragraph's element rather than by the heuristic given in steps P2 and P3 of the Unicode algorithm. The paragraph's element is usually the containing block, but in the case of a paragraph contained by bidi isolation it is the isolating inline element instead. Because the base directionality of a text depends on the structure and semantics of the document, the ‘direction’ and ‘unicode-bidi’ properties should in most cases be used only to map bidi information in the markup to its corresponding CSS styles. If a document language provides markup features to control bidi, authors and users should use those features and not specify CSS rules to override them. The HTML 4 specification ([HTML401], section 8.2) defines bidirectionality behavior for HTML elements. The HTML 4 specification also contains more information on bidirectionality issues. Because HTML UAs can turn off CSS styling, we advise HTML authors to use the HTML ‘dir’ attribute and <bdo> element to ensure correct bidirectional layout in the absence of a style sheet. This property specifies the base directionality of text and elements on a line, and the directionality of embeddings and overrides (see ‘unicode-bidi’) for the Unicode bidirectional algorithm. In addition, it affects the ordering of table column layout, the direction of horizontal overflow, and the default alignment of text within a line, and other things that depend on the base inline base direction. The ‘direction’ property has no effect on bidi reordering when specified on inline elements whose ‘unicode-bidi’ property's value is ‘normal’. Note that the ‘direction’ property of the HTML BODY element is not propagated to the viewport. That special behavior only applies to the background and overflow properties. The ‘direction’ property, when specified for table column elements, is not inherited by cells in the column since columns are not the ancestors of the cells in the document tree. Thus, CSS cannot easily capture the "dir" attribute inheritance rules described in [HTML401], section 11.3.2.1. If the element is inline, this value opens an additional level of embedding with respect to the bidirectional algorithm. The direction of this embedding level is given by the ‘direction’ property. Inside the element, reordering is done implicitly. This corresponds to adding a LRE (U+202A), for ‘direction: ltr’, or RLE (U+202B), for ‘direction: rtl’, at the start of the element and a PDF (U+202C) at the end of the element. This value has no effect on elements that are not inline. For the purposes of the Unicode bidirectional algorithm, the base directionality of each bidi paragraph for which the element forms the containing block is determined not by the element's computed ‘direction’ as usual, but by following rules P2 and P3 of the Unicode bidirectional algorithm. For inline elements, this value is equivalent to ‘isolate’. For inline elements this creates an override. For block-container elements this creates an override for inline-level descendants not within another block container element. This means that inside the element, reordering is strictly in sequence according to the ‘direction’ property; the implicit part of the bidirectional algorithm is ignored. This corresponds to adding a LRO (U+202D), for ‘direction: ltr’, or RLO (U+202E), for ‘direction: rtl’, at the start of the element and a PDF (U+202C) at the end of the element. The final order of characters within in each bidi paragraph is the same as if the bidi control codes had been added as described above, markup had been stripped, and the resulting character sequence had been passed to an implementation of the Unicode bidirectional algorithm for plain text that produced the same line-breaks as the styled text. In this process, replaced elements with ‘display: inline’ are treated as neutral characters, unless their ‘unicode-bidi’ property has a value other than ‘normal’, in which case they are treated as strong characters in the ‘direction’ specified for the element. All other atomic inline-level boxes are treated as neutral characters always. Because the Unicode algorithm has a limit of 61 levels of embedding, care should be taken not to use ‘unicode-bidi’ with a value other than ‘normal’ unless appropriate. In particular, a value of ‘inherit’ should be used with extreme caution. However, for elements that are, in general, intended to be displayed as blocks, a setting of ‘unicode-bidi: isolate’ is preferred to keep the element together in case display is changed to inline (see example below). The following example shows an XML document with bidirectional text. It illustrates an important design principle: document language designers should take bidi into account both in the language proper (elements and attributes) and in any accompanying style sheets. The style sheets should be designed so that bidi rules are separate from other style rules, and such rules should not be overridden by other style sheets so that the document language's bidi behavior is preserved. In this example, lowercase letters stand for inherently left-to-right characters and uppercase letters represent inherently right-to-left characters. The text stream is shown in logical backing store order. The EMPH element is inline-level, and since its value for ‘unicode-bidi’ is ‘normal’ (the initial value), it has no effect on the ordering of the text. The HE-QUO element, on the other hand, creates an embedding. Since bidi reordering can split apart and reorder text that is logically contiguous, bidirectional text can cause an inline boxes to be split and reordered within a line. 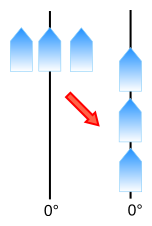 Note that in order to be able to flow inline boxes in a uniform direction (either entirely left-to-right or entirely right-to-left), anonymous inline boxes may have to be created. When the element's ‘direction’ property is ‘ltr’, the left-most generated box of the first line box in which the element appears has the left margin, left border and left padding, and the right-most generated box of the last line box in which the element appears has the right padding, right border and right margin. When the element's ‘direction’ property is ‘rtl’, the right-most generated box of the first line box in which the element appears has the right padding, right border and right margin, and the left-most generated box of the last line box in which the element appears has the left margin, left border and left padding. Top-to-bottom block flow. The writing mode is horizontal. Right-to-left block flow. The writing mode is vertical. 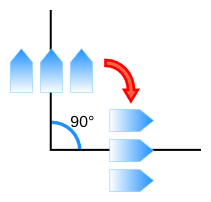 Left-to-right block flow. The writing mode is vertical. In SVG1.1, these values set the inline progression direction, in other words, the direction the current text position advances each time a glyph is added. This is a geometric process that happens after bidi reordering, and thus has no effect on the interpretation of the ‘direction’ property (which is independent of ‘writing-mode’). (See Relationship with bidirectionality. [SVG11]) There are varying interpretations on whether this process causes "writing-mode: rl" to merely shift the text string or reverse the order of all glyphs in the text. The ‘writing-mode’ property determines the direction of block flow. This determines the progression of block-level boxes in a block formatting context; the progression of line boxes in a block container that contains inlines; and the progression of rows in a table. By virtue of determining the stacking direction of line boxes, the ‘writing-mode’ property also determines whether line boxes and thus the writing mode is horizontal or vertical. When set on the root element, the ‘writing-mode’ property together with the ‘direction’ property determines the principal writing mode of the document. This writing mode is used, for example, to determine the default page progression direction. (See [CSS3PAGE].) The ‘writing-mode’ value of the root element is also propagated to the initial containing block and sets the block flow direction of the initial block formatting context. 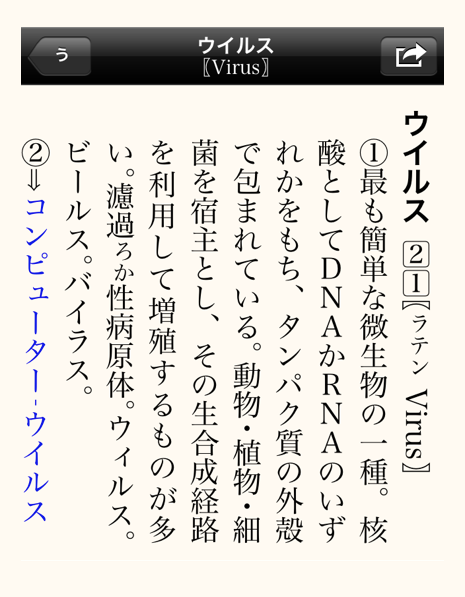 Note that the ‘writing-mode’ property of the HTML BODY element is not propagated to the viewport. That special behavior only applies to the background and overflow properties. If such an element is a block container, then it establishes a new block formatting context. The content of replaced elements do not rotate due to the writing mode: images, for example, remain upright. However replaced content involving text (such as MathML content or form elements) should match the replaced element's writing mode and line orientation if the UA supports such a vertical writing mode for the replaced content. When different kinds of inline-level content are placed together on a line, the baselines of the content and the settings of the ‘vertical-align’ property control how they are aligned in the transverse direction of the line box. This section discusses what baselines are, how to find them, and how they are used together with the ‘vertical-align’ property to determine the alignment of inline-level content. Different baseline tables can be provided for alignment in horizontal and vertical text. The alphabetic baseline, which typically aligns with the bottom of uppercase Latin glyphs. In horizontal typographic mode, this is the dominant baseline. The central baseline, which typically crosses the center of the em box. In vertical typographic mode, this is the dominant baseline. If the font is missing this baseline, it is assumed to be halfway between the ascender (over) and descender (under) edges of the em box. The alphabetic baseline is listed as the romn baseline in TrueType/OpenType baseline tables. If missing, it can sometimes be computed from the ascender and descender metrics. If it cannot be computed from other metrics, it may be assumed to correspond to the zero coordinate. For the ascender and descender metrics, it is recommended to use the sTypoAscender and sTypoDescender metrics from the font's OS/2 table. These should match the idtp and ideo baselines (respectively), which, if present, may be used instead. In the absence of these metrics, the Ascent and Descent metrics from the HHEA/VHEA table should be used. The Win metrics can be used as a fallback; however these are intended as clipping bounds and are not always appropriate for use as em box measurements. Aligning glyphs from different fonts within the same inline box. The glyphs are aligned by matching up the positions of the dominant baseline. Baseline alignment in this fashion is used with the following values of ‘vertical-align’: ‘baseline’, ‘sub’, ‘super’, <length>, <percentage>. In the latter cases, the baselines are aligned as for ‘baseline’, but the child is shifted according to the offset given by its ‘vertical-align’ value. If we assign ‘vertical-align: super’ to the .inner element from the example above, the same rules are used to align the .inner child to its parent; the only difference is in addition to the baseline alignment, the child is shifted to the superscript position. 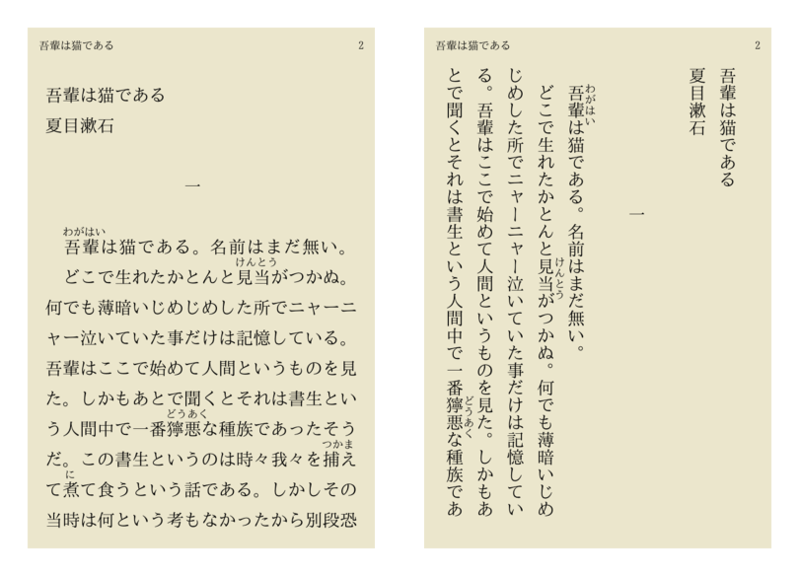 Scripts without a native vertical orientation can be either rotated (set sideways) or translated (set upright): the transform used is a stylistic preference depending on the text's usage, rather than a matter of correctness. 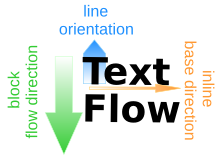 The ‘text-orientation’ property's ‘vertical-right’ and ‘upright’ values are provided to specify rotation vs. translation of horizontal-only text. The ‘rotate-left’, ‘rotate-right’, and ‘rotate-normal’ values of ‘text-orientation’ are provided for decorative layout effects and to work around limitations in CSS support for bottom-to-top scripts. Ideally, punctuation should be either sideways or upright depending on whether the primary script is horizontal-only or vertical. However, this information (which, like the base directionality, is a property of the content) is not available to us. (UTN 22 used the concept of a vertical directionality, given via ‘direction’ or the HTML dir attribute to handle this issue.) The current spec works around this by using the East Asian Width property; but this approach only works if vertical scripts do not share punctuation with horizontal-only scripts. This property specifies the orientation of characters within a line and sets the orientation of the line. Current values only have an effect in vertical writing modes. In this section only, the term character is defined as extended grapheme cluster per [UAX29]. It is roughly equivalent to what a language user considers to be a character or a basic unit of the script (which might not be a single Unicode codepoint). The UA may further tailor the definition as allowed by Unicode. The properties of a grapheme cluster are given by its base. In vertical writing modes, characters from horizontal-only scripts are set sideways, i.e. 90° clockwise from their standard orientation in horizontal text. Characters from vertical scripts are set with their intrinsic orientation. In vertical writing modes, this value puts the element in a vertical typographic mode and is typical for layout of primarily vertical-script text. In vertical writing modes, characters from horizonal-only scripts are rendered upright, i.e. in their standard horizontal orientation. Shaping characters from such scripts are shaped in their isolated forms. Characters from vertical scripts are set with their intrinsic orientation and shaped normally. When available, vertical glyph variants and vertical font metrics are used to set the text. The UA must synthesize vertical font metrics for grapheme clusters that do not have any. For the purposes of bidi reordering, this value causes all characters to be treated as strong LTR. This value causes the used value of ‘direction’ to be ‘ltr’. In vertical writing modes, this value puts the element in a vertical typographic mode. In vertical writing modes, this causes text to be set as if in a horizontal layout (using horizontal glyph variants and metrics), but rotated 90° clockwise. This value puts the element in a horizontal typographic mode. In vertical writing modes, this causes text to be set as if in a horizontal layout (using horizontal glyph variants and metrics), but rotated 90° counter-clockwise. This value puts the element in a horizontal typographic mode. If set on a non-replaced inline whose parent is not ‘rotate-left’, this forces ‘isolate’ to be added to the computed value of ‘unicode-bidi’. Layout of text is exactly as for ‘rotate-right’ except that the text content and baseline table of each of the element's inline boxes is mirrored around a vertical axis along the center of its content box. The positions of text decorations propagated from an ancestor inline (including the block container's root inline) are not mirrored, but any text decorations introduced by the element are positioned using the mirrored baseline table. Similarly, if an inline child of the element has a ‘text-orientation’ value other than ‘rotate-left’, an analogous transformation is applied. This value is equivalent to ‘rotate-right’ in ‘vertical-rl’ writing mode and equivalent to ‘rotate-left’ in ‘vertical-lr’ writing mode. It can be useful when setting horizontal script text vertically in a primarily horizontal-only document. [SVG11] defines ‘glyph-orientation-vertical’ and ‘glyph-orientation-horizontal’ properties that were intended to control text orientation. These properties are deprecated and do not apply to non-SVG elements. If an implementation supports these properties, the ‘auto’ value when set on SVG elements indicates that the SVG ‘glyph-orientation-vertical’ and ‘glyph-orientation-horizontal’ behavior control the layout of text. Such UAs must set ‘text-orientation: auto’ on all SVG text content elements in their default UA style sheet for SVG. In all other contexts, and for implementations that do not support the glyph orientation properties, the ‘auto’ behavior is the same as for ‘vertical-right’. In the following example, the root element of a horizontal-only document is set to use ‘rotate-normal’. In the rest of the document, the author can just set ‘writing-mode’ without worrying about whether the text is ‘vertical-rl’ or ‘vertical-lr’. In vertical typographic modes, any characters belonging to a vertical script must be set using its base character's intrinsic orientation. (See Appendix B.) Characters belonging to horizontal-only scripts must set sideways (for ‘vertical-right’) or set upright (for ‘upright’) depending on the ‘text-orientation’ property. If the font and font system support mixed-orientation typesetting, the UA should rely on that feature to set ‘vertical-right’ text. Similarly if the font and font system support upright typesetting then the UA should rely on that feature to set ‘upright’ text. If the UA needs to synthesize such features (e.g. if an OpenType font has only the vert but not the vrt2 feature), then the settings in Appendix C are recommended. [CSS21] defines the box layout model of CSS in detail. 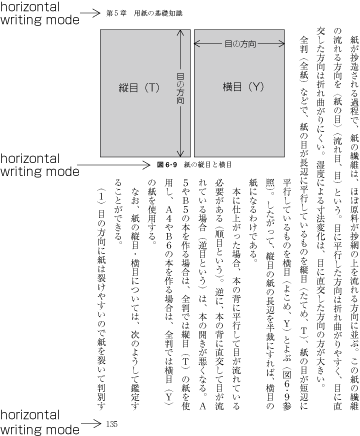 However, it only defines the box model for the ‘horizontal-tb’ writing mode. CSS box layout in writing modes other than ‘horizontal-tb’ is analogous to the box layout defined in CSS2.1 if directions and dimensions are abstracted and remapped appropriately. This section defines abstract directional and dimensional terms and their mappings in order to define box layout for other writing modes, and to provide terminology for future specs to define their layout concepts abstractly. The dimension perpendicular to the flow of text with in a line, the vertical dimension in horizontal writing modes, and the horizontal dimension in vertical writing modes. The axis in the block flow dimension, i.e. the vertical axis in horizontal writing modes and the horizontal axis in vertical writing modes. A measurement in the block flow dimension: refers to the physical height (vertical dimension) in horizontal writing modes, and to the physical width (horizontal dimension) in vertical writing modes. The terms left, right, top, and bottom are always interpreted physically, i.e. with respect to the page independent of writing mode. Two abstract mappings are possible for these directions: line-relative and flow-relative, which are defined below. Although they derive from the behavior of text, these directional terms exist even for boxes that do not contain any line boxes: they are calculated directly from the values of the ‘writing-mode’, ‘text-orientation’, and ‘direction’ properties. Although the block flow direction given by ‘writing-mode’ determines whether the line is oriented horizontally or vertically, it doesn't say anything about how the contents within the line are arranged. The line-relative directions are over, under, line-left, and line-right. 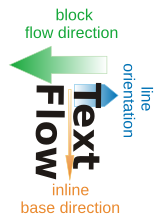 The line orientation, which is given by a combination of ‘text-orientation’ and ‘writing-mode’, determines which side of the line is the "top" and thus which sides are under (ascender side) and over (descender side) the line. The line orientation also affects the interpretation of alignment (‘vertical-align’) in the transverse dimension of the line. In addition to its over and under sides, a line box, even a vertically-oriented one, also has a "left" and "right" side, which we will call the line-left and line-right sides of the box (as distinct from the physical left and physical right sides of the box). The line-left edge of a box is nominally the edge from which LTR text would start. The line-right edge of a box is nominally the edge from which RTL text would start. Depending on the ‘writing-mode’ and ‘text-orientation’ properties, the line-left side of a box could be on the physical left, top, or bottom. Note also that while the over and under directions often map to the same directions as before and after respectively, this mapping is reversed for some combinations of ‘writing-mode’ and ‘text-orientation’. The flow-relative directions are before, after, start, and end. In an LTR ‘horizontal-tb’ writing mode, they correspond to the top, bottom, left, and right directions, respectively. The before edge of a box is nominally the edge that comes earlier in the block progression, as determined by the ‘writing-mode’ property. Similarly the after edge is the edge that comes later in the progression. The start edge of a box is nominally the edge from which text of its inline base direction will start. For boxes with a used ‘direction’ value of ‘ltr’, this means the line-left edge. For boxes with a used ‘direction’ value of ‘rtl’, this means the line-right edge. The edge opposite the start edge is the end edge. Note that while determining the before and after edges of a box depends only on the ‘writing-mode’ property, determining the start and end edges of a box depends not only on the ‘writing-mode’ property but also the ‘direction’ and ‘text-orientation’ properties. Layout rules that refer to the ‘*-left’ and ‘*-right’ box properties (border, margin, padding) use ‘*-top’ and ‘*-bottom’ instead, and vice versa. Which side of the box the property applies to doesn't change: only which values are inputs to which layout calculations changes. The ‘margin-left’ property still affects the lefthand margin, for example; however in a ‘vertical-rl’ writing mode it takes part in margin collapsing in place of ‘margin-bottom’. Layout rules that depend on the ‘direction’ property to choose between left and right (e.g. overflow, overconstraint resolution, the initial value for ‘text-align’, table column ordering) are abstracted to the start and end sides and applied appropriately. For example, in vertical writing modes, table rows are vertical and table columns are horizontal. In a ‘vertical-rl’ ‘vertical-right’ ‘rtl’ table, the first column would be on the bottom (the start side), and the first row on the right (the before side). 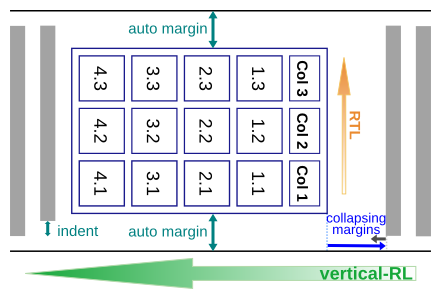 The table's ‘margin-left’ and ‘margin-right’ would collapse with margins before (on the left) and after (on the right) the table, respectively, and if the table had ‘auto’ values for ‘margin-top’ and ‘margin-bottom’ it would be centered vertically within its block flow. For features such as text alignment, floating, and list marker positioning, that primarily reference the left or right sides of the line box or its longitudinal parallels and therefore have no top or bottom equivalent, the line left and line right sides are used as the reference for the left and right sides respectively. Likewise for features such as underlining, overlining, and baseline alignment (the unfortunately-named ‘vertical-align’), that primarily reference the top or bottom sides of the linebox or its transversal parallels and therefore have no left or right equivalent, the over and under sides are used as the reference for the top and bottom sides respectively. The height properties (‘height’, ‘min-height’, and ‘max-height’) refer to the physical height, and the width properties (‘width’, ‘min-width’, and ‘max-width’) refer to the physical width. However, the rules used to calculate box dimensions and positions are logical. As a corollary, percentages on the margin and padding properties, which are always calculated with respect to the containing block width in CSS2.1, are calculated with respect to the measure of the containing block in CSS3. The two writing modes are parallel to each other. (For example, ‘vertical-rl’ and ‘vertical-lr’). The two writing modes are perpendicular to each other. (For example, ‘horizontal-tb’ and ‘vertical-rl’). 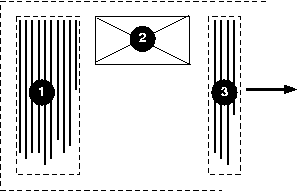 To handle the second case, CSS layout calculations are divided into two phases: sizing a box, and positioning the box within its flow. In the sizing phase—calculating the width and height of the box—the dimensions of the box and the containing block are mapped to the measure and extent and calculations performed accordingly using the writing mode of the element. In the positioning phase—calculating the positioning offsets, margins, borders, and padding—the dimensions of the box and its containing block are mapped to the measure and extent and calculations performed according to the writing mode of the containing block. For example, if a vertical block is placed inside a horizontal block, then when calculating the physical height (which is the measure) of the child block the physical height of the parent block is used to calculate the measure of the child's containing block, even though the physical height is the extent, not the measure, of the parent block. Since auto margins are resolved consistent with the containing block's writing mode, a box establishing an orthogonal flow, can, once sized, be aligned or centered within its containing block just like other block-level elements by using auto margins. It is common in CSS for a containing block to have a defined measure, but not a defined extent. This typically happens in CSS2.1 when a containing block has an ‘auto’ height, for example: its width is given by the calculations in 10.3.3, but its extent depends on its contents. In such cases the available measure is defined as the measure of the containing block; but the available extent, which would otherwise be the extent of the containing block, is infinite. Orthogonal flows allow the opposite to happen: for the available extent to be defined, but the available measure to be infinite. In such cases a percentage of the containing block measure cannot be defined, and thus the initial containing block's size is used instead as a fallback measure to calculate such percentages. If the computed measure of an element establishing an orthogonal flow is ‘auto’, then the used measure is calculated as the fit-content (shrink-to-fit) size using the initial containing block's size as the available measure. If ‘column-count’ and ‘column-width’ are both ‘auto’, a used ‘column-width’ is calculated for the element as the fill-available measure using the fallback measure as the available measure. If the columns' extent is not fixed, the fill-available extent of the element is used. The used column-count then follows from filling the resulting columns with the element's content. 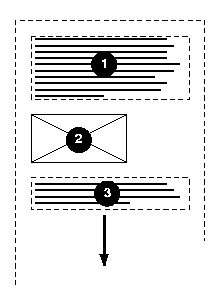 The used measure of the resulting multi-column element is then calculated: if the content neither wraps nor paginates within the multi-column element, then the used measure is the max-content measure of the element's contents; else it is calculated from the used column width, column count, and column gap. The used extent of the element is either the used column extent (if multiple columns were used) or the max-content extent of the content. This should behave the same as the auto-sizing algorithm defined in the previous section, except overflowing content, instead of continuing off the side of the containing block, is wrapped into columns in the flow direction of the containing block, thus avoiding T-shaped documents. With regards to pagination, the rules in CSS2.1 still hold in vertical writing modes and orthogonal flows: page break opportunities do not occur inside line boxes, only between them. UAs that support [CSS3COL] may break in the (potentially zero-width) gap between columns, however. Note that if content spills outside the pagination stream established by the root element, the UA is not required to print such content. Authors wishing to mix writing modes with long streams of text are thus encouraged to use CSS columns to keep all content flowing in the document's pagination direction. In other words, if your document would require two scrollbars on the screen it probably won't all print. Fix your layout, e.g. by using columns so that it all scrolls (and therefore paginates) in one direction if you want to make sure it'll all print. T-shaped documents tend not to print well. 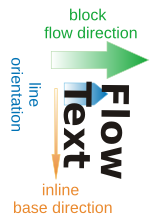 Flow-relative directions are calculated with respect to the writing mode of the containing block of the element and used to abstract layout rules related to the box properties (margins, borders, padding) and any properties related to positioning the box within its containing block (‘float’, ‘clear’, ‘top’, ‘bottom’, ‘left’, ‘right’) For inline-level elements, the writing mode of the parent element is used instead. For example, the margin that is dropped when a box's inline dimension is over-constrained is the end margin as determined by the writing mode of the containing block. The margin collapsing rules apply exactly with the before margin substituted for the top margin and the after margin substituted for the bottom margin. 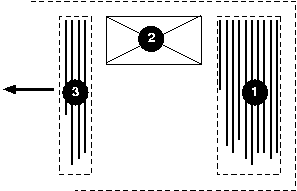 Similarly the before padding and border are substituted for the top padding and border, and the after padding and border substituted for the bottom padding and border. Note this means only before and after margins ever collapse. The initial value of the ‘text-align’ property aligns to the start edge of the line box. The ‘text-indent’ property indents from the start edge of the line box. For tables, the ordering of columns begins on the start side of the table, and the ordering of rows begins on the before side of the table. The line-relative directions are over, under, line-left, and line-right. In an LTR ‘horizontal-tb’ writing mode, they correspond to the top, bottom, left, and right directions, respectively. For implementations that support the ‘top-outside’ and ‘bottom-outside’ model, corresponding ‘before-outside’ and ‘after-outside’ will be similarly introduced. Implementations that support the ‘top’ and ‘bottom’ values of the ‘caption-side’ property but do not support side captions (i.e. ‘left’ and ‘right’ captions in horizontal writing modes) must treat ‘top’ and ‘bottom’ as ‘before’, when the table is in a vertical writing mode. For implementations that do support side captions (i.e. the ‘left’ and ‘right’ values from the obsolete CSS 2.0 specification [CSS2]), this module also introduces the ‘start’ and ‘end’ values, which behave similarly and which position the caption on the start and end sides of the table box, calculated with respect to the writing mode of the table element. For such implementations, the ‘top’ and ‘bottom’ values must place the caption on the top and bottom sides of the table box, respectively. The CSS2.0 side caption model had some problems and will likely have a different definition in CSS3. The page progression is right-to-left if the root element's ‘writing-mode’ is ‘vertical-rl’ or if the root element's ‘writing-mode’ is ‘horizontal-tb’ and its ‘direction’ is ‘rtl’. The page progression is left-to-right if the root element's ‘writing-mode’ is ‘vertical-lr’ or if the root element's ‘writing-mode’ is ‘horizontal-tb’ and its ‘direction’ is ‘ltr’. In vertical writing mode, attempt to display the text contents of the element horizontally within the vertical line box, ideally within the space of one ideographic character (1em square). The glyphs are stacked horizontally (similar to the contents of an inline-box with a horizontal writing mode and a line-height of 1em) and the baseline of the resulting composition chosen such that it is centered between the content edges of its parent inline box. The UA should determine how to render the composed glyph into the space. If the UA has compressed glyphs available for the contents of the element, then it may use those glyphs to attempt sizing the contents to 1em square. For example, a two digit number may use halfwidth or proportional glyphs, a three-digit number may use 1/3-em glyphs (if available, else halfwidth glyphs), etc. The UA may scale the contents to fit instead, or in addition to the method above. In horizontal mode, or if the number of grapheme clusters in the element exceeds the number specified (if any), this value is equivalent to ‘none’. Adjusted ‘unicode-bidi’ syntax to disallow questionable combinations. Clarified box model for inline elements in bidirectional context and added an issue on which box decorations are drawn when it breaks across lines. Rewrote vertical typesetting rules and added an appendix with details instead of relying only on the East Asian Width property. Clarified and corrected orthogonal flows section. Simplified definitions of flow-relative mappings since logical properties don't depend on them. Marked new ‘before’ value as the initial value of ‘caption-side’ and added note about ‘before-outside’ and ‘after-outside’ to parallel note in CSS2.1. Added rules to calculate page progression direction. Added intrinsic dimentions keywords to ‘width’, ‘height’, ‘min-width’, ‘min-height’, ‘max-width’, ‘max-height’, and ‘column-width’ properties. Marked intrinsic sizes of multi-column elements as undefined. 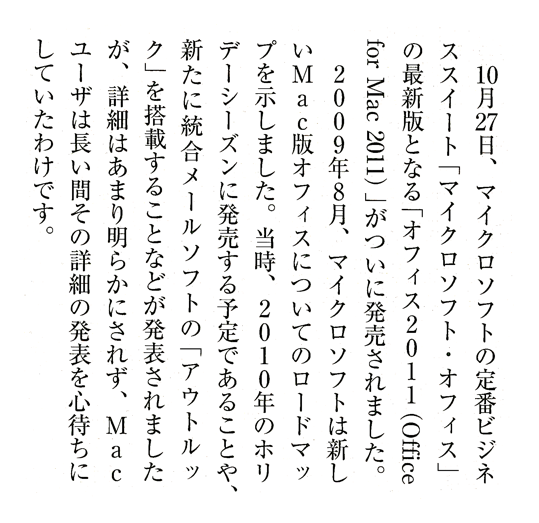 This appendix gives the orientational properties of scripts in Unicode 6.0 [UNICODE]. Any script not listed explicitly is assumed to be horizontal-only. The script classification of Unicode characters is given by [UAX24]. Exceptions: For the purposes of this specification, all fullwidth (F) and wide (W) characters are treated as belonging to a vertical script with a translate bi-orientational transform. All halfwidth (H) characters are treated as belonging to a vertical script with a rotate bi-orientational transform. [UAX11] Neutral (N), narrow (Na) and ambiguous (A) Letters (L*) belonging to the Common script are treated as belonging to a horizontal-only script. Ogham is also a rotating bi-orientational script, but because it is a bottom-to-top script, for the purposes of this specification it is treated as left-to-right horizontal. A future version of CSS may define proper handling of bottom-to-top scripts. Authors can work around this lack of support with the ‘rotate-left’ value of ‘text-orientation’. This section needs careful review. Set East Asian fullwidth (F) and wide (W) characters upright (using vertical font settings if available). Set East Asian halfwidth (H) characters sideways (using vertical font settings if possible). Set any other characters that are assigned to a script (i.e. do not belong to the Common, Inherited, or Unknown scripts) as required by ‘text-orientation’. Set spaces (Zs), dashes (Pd), connectors (Pc), and bracketing punctuation (Ps, Pe, Pi, Pf) either upright using vertical font settings if available or sideways if they are not. Thus a THREE-PER-EM SPACE (U+2004) can be expected to provide a 1/3-em advance in the inline dimension, and brackets can be expected to encase their contents. When ‘text-orientation’ is ‘vertical-right’, the following settings are recommended for characters not otherwise-specified above. Other Punctuation (Po) with an East Asian Width property [UAX11] of ambiguous (A). Superscripts, subscripts, and non-Indic fractions from the Other Number (No) category. Set the following characters sideways (i.e. rotated, using horizontal font settings). Currency Symbols (Sc) and Math Symbols (Sm). All characters from the Box Drawing, Block Elements, and Arrows blocks. Modifier Symbols (Sk), except the tone marks listed below. Modifier Symbols (Sk) in the U+02E5–U+02EB tone marks range and those in the Modifier Tone Letters block. All Other Symbols (So) characters not otherwise specified above. All Other Numbers (No) characters not otherwise specified above. Set all other characters sideways (i.e. rotated, using horizontal font settings). When ‘text-orientation’ is ‘vertical-right’, set all characters upright (using vertical font settings if available) unless otherwise specified above. In OpenType, vertical font settings are provided by the vhea, vmtx, and VORG tables, as well as the vert and vrt2 GSUB features. If any of these are present, the font is considered to have vertical font settings available. CSS layout has several different concepts of automatic sizing that are used in various layout calculations. This section defines some more precise terminology to help connect the layout behaviors of this spec to the calculations used in other modules, and some new keywords for the width and height properties to allow authors to assign elements the dimensions resulting from these size calculations. Called the preferred minimum width in CSS2.1§10.3.5 and the minimum content width in CSS2.1§5.2.2, the min-content measure is defined roughly as the narrowest measure a box could take while fitting around its contents if all line break opportunities within the box were taken. Called the preferred width in CSS2.1§10.3.5 and the maximum cell width in CSS2.1§5.2.2, the max-content measure is defined roughly as the narrowest measure a box could take while fitting around its contents if none of the optional line break opportunities within the box were taken. Called the available width in CSS2.1§10.3.5 and computed by the rules in CSS2.1§10.3.3, the fill-available measure is calculated by subtracting out the element's margins, borders, and padding from the available measure and flooring the result at zero. If the available measure is infinite, then a fallback measure is used in place of the available measure in this calculation. (In the case of orthogonal flows, this is the measure of the initial containing block.) The fill-available extent is similarly calculated by using the corresponding values from the block dimension. Called the shrink-to-fit width in CSS2.1§10.3.5, and CSS3 Multi-column Layout § 3.4, the fit-content measure is defined as max(min-content, min(max-content, fill-available)) if the available measure is finite, and as the max-content measure otherwise. The fit-content extent is calculated from the same expression applied to the block dimension. For the layout models in CSS2.1, both the min-content extent and max-content extent of non-replaced elements are defined as the content extent as defined (for horizontal writing modes) in CSS2.1§10.6.3 and CSS2.1§17.5.3 for elements with ‘height: auto’. For replaced elements, the min-content and max-content sizes are the same and correspond used size of the replaced element according to the ‘auto’ width and height calculations. The min-content and max-content sizes of a multi-column element are undefined per [CSS3COL]. A future specification may define them. Specifies the optimal column width as the min-content measure of the multi-column element's contents. Specifies the optimal column width as the max-content measure of the multi-column element's contents. Specifies the optimal column width as the fill-available measure of the multi-column element. Specifies the optimal column width as max(min-content, min(max-content, fill-available)).